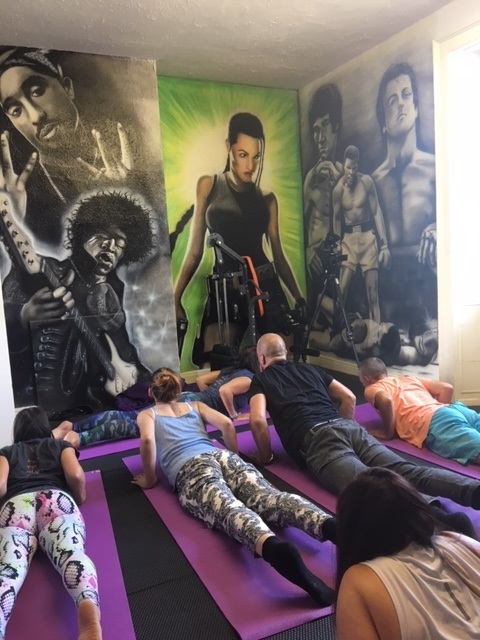 We have recently had the pleasure of being joined by Victoria from TreeLiving Yoga who has been delivering regular yoga sessions to both our residents and staff. The sessions have been really well received by our residents and having the staff join in has been encouraging from some of them. The feedback we have received has been positive with some residents suggesting that the sessions have made them sleep better, helped them to relax, given them something to look forward to and even comparing the feeling to previous substance misuse. We recently had one of our yoga sessions filmed by BBC Tees, the video is available on our Facebook page at https://www.facebook.com/Bridge-House-Mission-208690871224/. 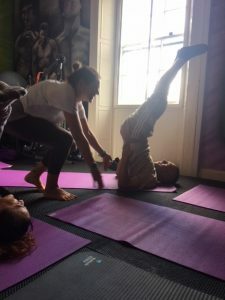 This looks at the positive impact yoga can have on recovery. Victoria is having a well-deserved break over the summer and she will be back in September for some further sessions. This entry was posted on Wednesday, August 22nd, 2018 at 12:29 pm and is filed under Our News. You can follow any responses to this entry through the RSS 2.0 feed. Both comments and pings are currently closed.